By this evening, there will only be four teams left in the race for Sam Maguire, which means everybody else will be back with their clubs to fight it out for championship or league glory. I have taken a closer look at the work the Club Players' Association have been doing, and there is no doubt there is a serious issue with the structures for club games all around the country. I listened to Tommy Walsh speak passionately on Off The Ball last week about how we need to protect the club scene if we want to keep seeing the great spectacles in the inter-county game over the summer. It's easy to forget the issues facing the club game now, especially given what we saw in Croke Park last weekend, and with the football championship the weekend before. Club players face uncertainty over when their championship will be played - in most counties it's fully dependent on when the county team exits the championship. When a county team is knocked out, the dates for championship are then pencilled in. An early exit for any county can leave clubs scrambling to get players, who might be travelling for the summer, home. At least in Dublin we are in the privileged position of expecting that Dublin will reach the later stages of the championship, so the club championship is unlikely to restart until September 22. But take Meath this year. They were knocked out early, in the first round of the qualifiers on June 9 which was probably earlier than expected. Championship fixtures were set at that stage for the end of July, during the height of the summer break. What about the young student who was fulfilling a dream to spend a summer in America? Or the family man who had booked a holiday with his wife and kids? The GAA issued a recommendation that April should be set aside for club activity only. I know Dublin adhered to this, but their first game wasn't until May 27, against Wicklow. It was a different story for Cavan and Donegal or Mayo and Galway, who all played on May 13. These were huge games for all these teams and it was a big ask for managers to let their players back to the clubs for a month and only have a two-week lead-in to a game of such magnitude. The club championship hasn't started in Donegal or Cavan. In Mayo there was a round played in early April and in Galway a round in late May and a round in June. There is no consistency there whatsoever. If the GAA are serious about only club games taking place in April, they need to issue a directive which will be regulated and give counties a fair period, at least three weeks in my opinion, before the provincial championships begin. The lack of consistency around fixtures is the biggest problem facing the club game. We have shown we are a progressive organisation and while it can be slow, we have shown we are not afraid of change. A master fixtures schedule for our club and county programme is the core objective of the CPA. For the record, I haven't been actively involved in the CPA but I'm in agreement with them that the GAA should run all club championships concurrently, as part of a games programme that is devised at national level by the Association for both the inter-county and club game. This is how they put it: "A core objective of the Club Players' Association is to establish a regular playing season for clubs and curbing the pervasive influence of the county scene on the fixtures calendar of club players the length and breadth of Ireland. It is the desire of club people that fixtures for clubs are set out in a definitive manner rather than the current situation whereby club games are vying for space in the calendar alongside national league and championship fixtures at inter-county level. This is just one issue facing the modern club GAA player here in Ireland." It's that simple, for now, to help alleviate this battle between the club and county game. The problem is not going away and if it is not addressed, I can see the CPA upping the ante. We need to sort out the schedule, which will go a long way towards easing some of the struggles our clubs face. 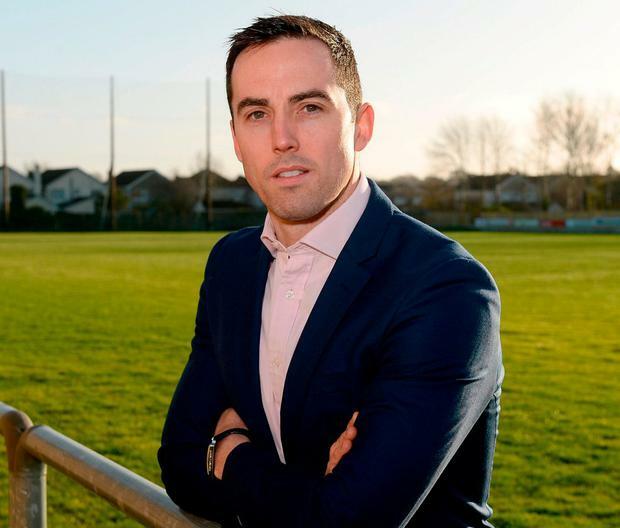 The CPA has solid, decent GAA men like Aaron Kernan, Kevin Nolan, Anthony Moyles and Liam Griffin driving their agenda and has support from club players all over the country. The sooner we all listen, the better.